The AdvancED Improvement Network is a global community of over 36,000 schools and school systems around the globe. While members may have unique needs and visions for their institutions, all are dedicated to their students, parents and communities, and all are focused on learner advancement while using continuous improvement as the guiding force. AdvancED Network Members appreciate the value of having a comprehensive and personalized solution with the added bonus of ongoing professional and support services. All institutions can benefit, whether they are high performing, in turnaround, or have a need for nuanced improvement that takes their performance to a new level. 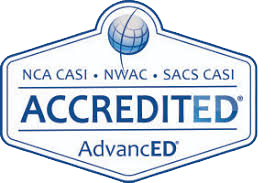 Using a set of rigorous research-based standards and evidence-based criteria, AdvancED Performance Accreditation examines the whole institution – the policies, programs, practices, learning conditions and cultural context – to determine how well the parts work together to carry out the institution’s vision and meet the needs of every learner.